Leflunomide is an oral medication that can be used to treat psoriatic arthritis and moderate to severe psoriasis. It belongs to a class of drugs called disease-modifying anti-inflammatory drugs (DMARDs). This class of drugs can reduce joint damage and disability caused by rheumatoid arthritis. Leflunomide is often used to treat rheumatoid arthritis alone or in combination with other DMARDs. It was approved by the FDA in September 1998. The FDA initially approved leflunomide for the treatment of rheumatoid arthritis. Technically, leflunomide has never been approved by the FDA for the treatment of psoriasis and psoriatic arthritis. Leflunomide reduces inflammation by suppressing the activity of immune cells responsible for inflammation. It suppresses immune cells by inhibiting dihydroorotate dehydrogenase, an enzyme necessary for the production of DNA and RNA. Without DNA or RNA, immune cells (and most other types of cells) can not proliferate or function (or exist). Because of its unique and different mechanism of action, it is useful when combined with other drugs for the treatment of rheumatoid arthritis. A known allergy to the drug or one of its components. It is contraindicated during pregnancy. Do not use in pregnant women or those of child-bearing age who do not use a reliable method of contraception. It is not known if it passes into breast milk or may injure a breast-fed baby. Do not breast-feed while taking this medicine. This drug should be taken with a meal. 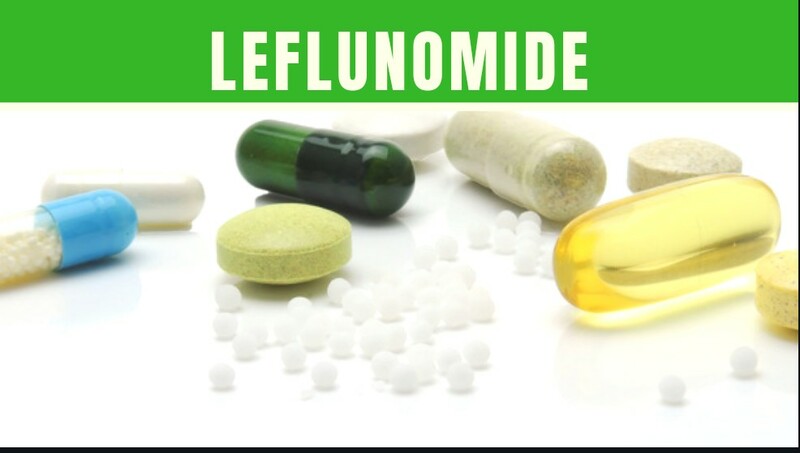 Leflunomide is usually given as a 20 mg tablet once a day. Sometimes patients only receive 10 mg, especially if they have side effects at the highest dose. Doctors often prescribe a “loading dose” that must be taken at the time of the first prescription of the drug. The usual loading dose is 100 mg daily during the first 3 days, followed by 20 mg daily. Doctors can reduce the dose to 10 mg per day if side effects occur. It may take up to four weeks for the arthritis to improve.